Get to know our innovative reliability and holistic safety checks. Globalisation, digital transformation and the robotic revolution are contributing to significant instability and trust issues within organisations and management functions. Sort out nature and nurture, verify true natural talent, energy burn rate and project compatibility. Measure individual or group instability, misalignment, organizational risks. Increase trust, improve stability and smooth operational workflow. Our mission is to ensure people have a place in a world where digital transformation prevails. 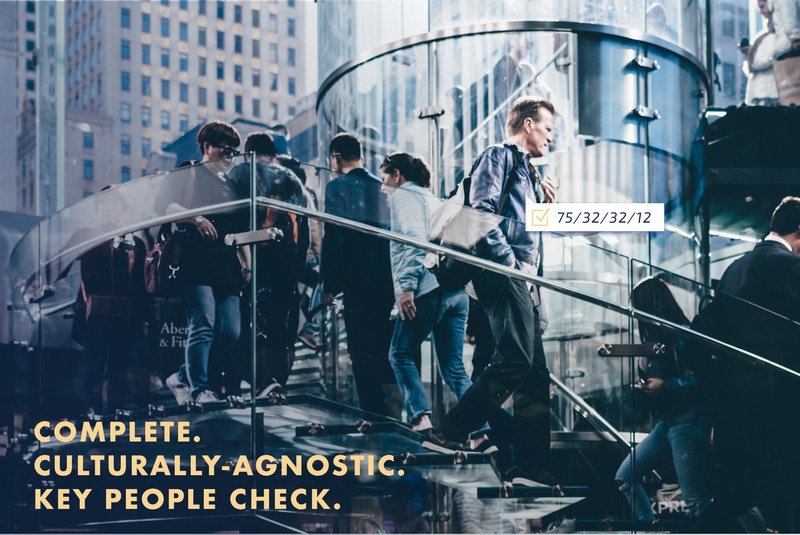 Key People Check is the human interface for deep machine learning and AI. Our proprietary Deep Identity Clarifying Process™ predicts and solves human conditioning-related risks and trust issues. Our complete process combines A.I. with trained expert analysis to deliver a world-leading psychological reliability and safety assessment solution.